It was a perfect summer evening. The sun was just starting to go down and there wasn’t a cloud in the sky. I was home from college on a visit to introduce my parents to my new boyfriend (my now husband). We sat on our patio, enjoying our evening together. My father, Giovanni, summoned me into the kitchen through the window overlooking the patio. I excused myself, assuming he wanted some help in preparing the food and getting the table set for dinner. While I was correct that my father needed some help in the kitchen, I was not prepared for the kind of help he was asking for. My father, an Italian man and one of the best chefs I have ever known, was asking ME for help on how to cook his signature pasta dish that I had requested he make for this occasion. I could see the sadness and sheer terror in his eyes that he was asking me for assistance on something he previously could do with his eyes closed. Immediately, I sprang into action, telling him not to worry, assuring him that we all have days like this sometimes, and that it had been a long time since he had made the dish. But deep down, I knew something was very wrong. It wasn’t long after this occasion that my father was officially diagnosed with Alzheimer’s disease. More than six years have passed since that summer night. During that time, my father gradually forgot every pasta dish he ever made; he forgot the simple daily acts we take for granted; the disease robbed my father of knowing that I was his daughter — and finally, of his life. 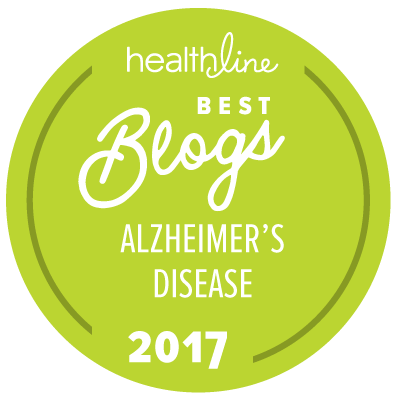 Here is what my journey with my father taught me: Alzheimer’s changes things, but there is still a person inside. Even after this disease progresses, there are ways to share meaningful moments. Make a tax-deductable donation to The Alzheimer’s Association and receive a downloadable recipe card of Giovanni’s signature pasta dish as a thank you for your donation. One of my favorite memories of my father is of my wedding day. It was toward the end of his illness, and he was having more bad days than good. I wasn’t sure he would be able to attend. He was having trouble walking at that point. But he made it – and something amazing happened. Not only did he walk – he lit up. He was back to being an entertainer and a host and he loved every minute of it. We danced to Sinatra’s “The Way You Look Tonight” and he looked so happy. We both were. As my father’s youngest and only child in the United States, I always tried to be strong for him, and support him in any way that I could. Our time together has inspired me and shaped the woman I’ve grown to be. My father’s journey affected my career choice. I now work for the Alzheimer’s Association, providing education and guidance to other families trying to navigate this awful and often mysterious, challenging disease. Now that my father has passed away, the greatest gift I can give him is doing my part to help end this disease for other families. I hope that my effort to help others, I honor my father, who was one of the most gentle, kind and caring people I have ever known. Happy father’s day, Dad. I love you and miss you. About the blog author: Christina lives near Chicago with her husband, two dogs and a cat. They are expecting their first child later this year. She works at the Alzheimer’s Association helping other families dealing with dementia.